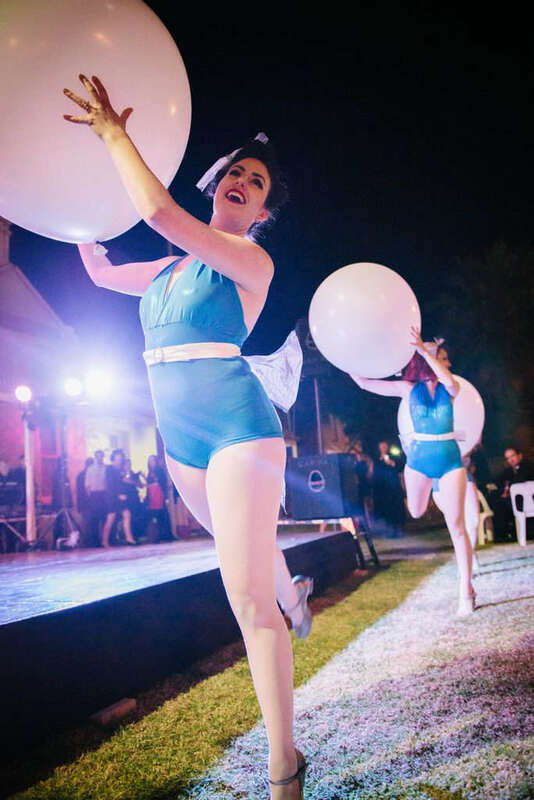 Beautiful and gorgeous performance set to wow your guests! 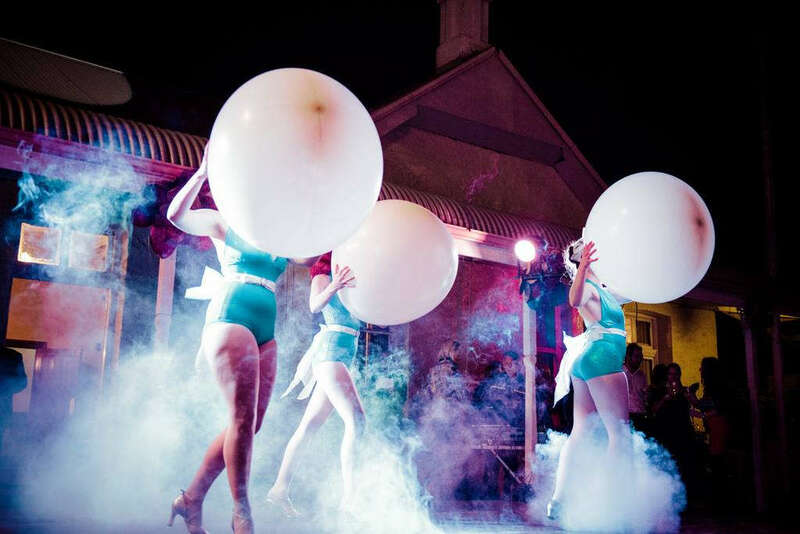 The big balloon dance is one Sugar Blue Burlesque’s most special and unique acts! It can be performed by two girls or up to five. 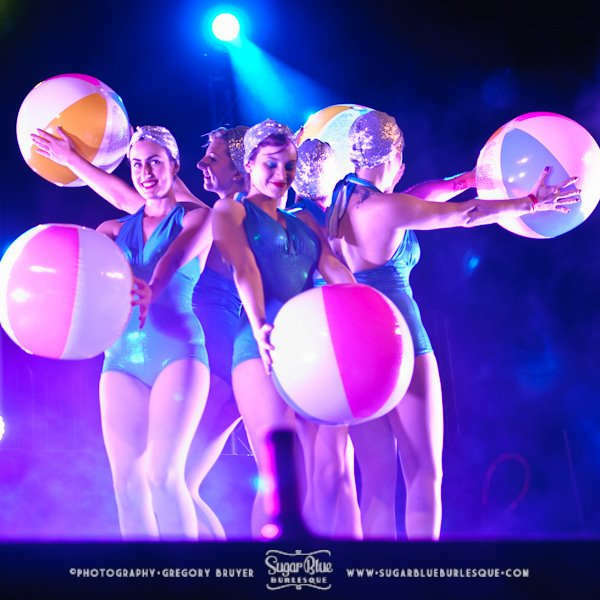 Its lots of fun and is visually spectacular and perfect for corporate events. Great for Burlesque, Moulin Rouge, Great Gatsby (20s) Themed events. As you will see by the photos, the balloons can be changed for beach balls for a seaside themed event.